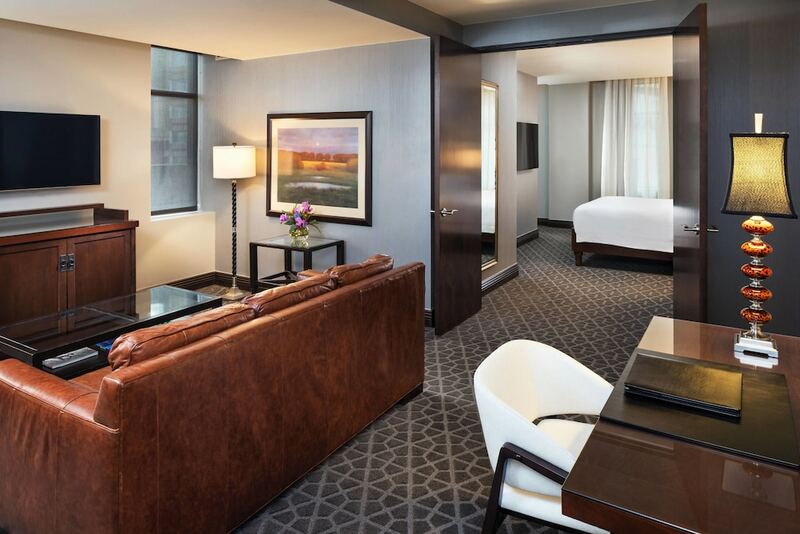 With a stay at Hotel Ivy, a Luxury Collection Hotel, Minneapolis in Minneapolis (Downtown Minneapolis), you'll be steps from Nicollet Mall and 3 minutes by foot from Minneapolis Convention Center. This 4.5-star hotel is 0.7 mi (1.2 km) from Target Center and 0.5 mi (0.8 km) from Orpheum Theatre. Make yourself at home in one of the 136 air-conditioned rooms featuring refrigerators and minibars. Digital programming provides entertainment, and wired and wireless Internet access is available for a surcharge. Private bathrooms with separate bathtubs and showers feature designer toiletries and hair dryers. Conveniences include phones, as well as laptop-compatible safes and desks. Enjoy Italian cuisine at Monello, one of the hotel's 2 restaurants, or stay in and take advantage of the 24-hour room service. Snacks are also available at the coffee shop/café. Need to unwind? Take a break with a tasty beverage at one of the 3 bars/lounges. Cooked-to-order breakfasts are available daily from 6:30 AM to 11 AM for a fee. Dining is available at one of the hotel's 2 restaurants and guests can grab coffee at the coffee shop/café. Guests can unwind with a drink at one of the hotel's 3 bars/lounges. Wireless Internet access is complimentary. For a surcharge, a roundtrip airport shuttle (available 24 hours) is offered to guests. This luxury hotel also offers multilingual staff, concierge services, and complimentary newspapers in the lobby. Onsite parking is available (surcharge). Guests can use the health club at a partner property. Hotel Ivy, a Luxury Collection Hotel, Minneapolis is a smoke-free property. Monello - This restaurant specializes in Italian cuisine and serves breakfast, brunch, lunch, and dinner. Guests can enjoy drinks at the bar. Open daily. Venetia - This lobby lounge specializes in American cuisine and serves breakfast, lunch, and dinner. Open daily. Constantine - This cocktail bar specializes in American cuisine and serves dinner only. Happy hour is offered. Open daily.